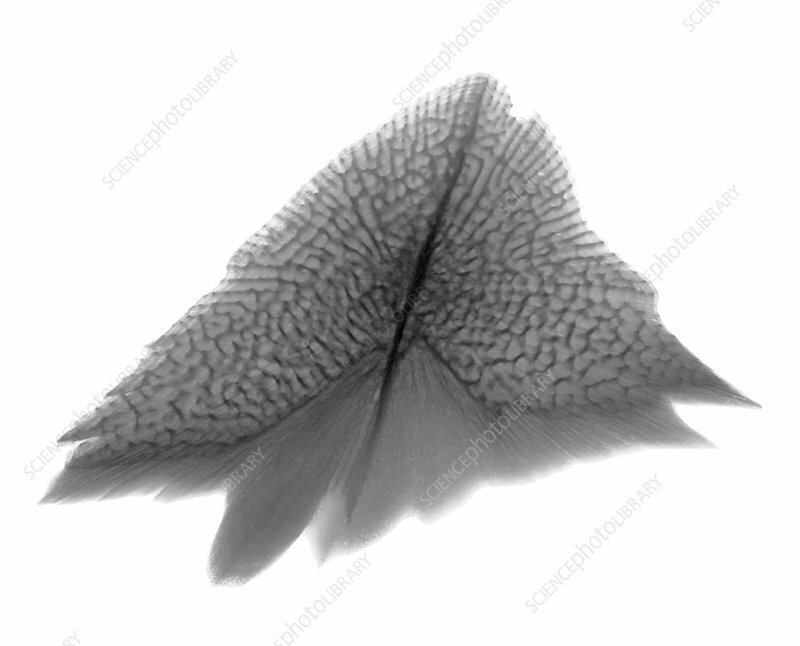 X-ray of a scale from the critically endangered Atlantic, Common, or Sea Sturgeon (Acipenser sturio). The thick plates of the scales offer the fish protection from predators. This sample is from Quebec, Canada.